NTPC is fully aligned for conserving water for sustainable ecological balance. NETRA (NTPC Energy Technology Research Alliance) proposed Effluent Recycling Treatment plant to achieve zero liquid discharge at NTPC’s Jhanor – Gandhar station to optimize water costs and minimize environmental footprint. The recycled and reuse of treated effluents is profitable in the ever deteriorating environment of water scarcity. At present, only one stream of the station has been successfully commissioned and the next stream will be commissioned by 7th Sep’18. At full load operation, NTPC Jhanor – Gandhar (657.39 MW) generates effluent of 4500 M3 per day. The new recycling treatment has integrated high rate solid contact clarification, submerged Ultra filtration and RO modules technologies to give 125 M3/Hr high quality water. The produced water will be used for Demineral (DM) water production or directly in Cooling Water (CW) make-up in the power station. As a part of its corporate ethos, NTPC aims at utilization of industrial waste water to ensure a sustainable ecological balance by minimizing waste and reusing the waste water at its power stations. With new technologies, the plant will have the added advantage of increased resin life, lesser chemical consumption and improved COC in CW system. The new technology system suits the wide variety of industrial effluents and maintains the efficiency of plants. 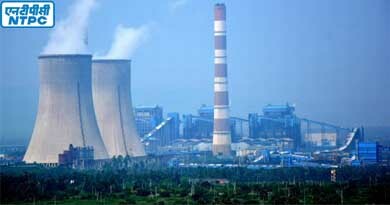 NTPC recognizes the potential of cutting-edge technology in further improving its services and efficiency. With the same objective, NTPC had set-up NTPC Energy Technology Research Alliance (NETRA) a state-of-the-art centre for research, technology development and scientific services in the domain of electric power. R&D efforts of NETRA are guided by Research Advisory Council (RAC) comprising of eminent scientists and experts from India and abroad to steer high end research. NETRA focuses on areas of Efficiency Improvement & Cost Reduction; New & Renewable Energy; Climate Change & Environmental Protection which includes Water Conservation; Ash Utilization; Waste Management and Advanced Scientific Services, etc.